in Springfield and will be able to provide beef there...stay tuned for more opportunities! I am sure you are all wondering where's the beef (pun intended). Well, as much as it pains us to do this, we are having to close our retail business. The amazing amount of support you all have shown our family farm and business over the years has been great! It has been a very difficult decision for us, but the only one that makes sense for our family. We had the opportunity to assist another local Tennessee farmer get his operation up and running. He is running strong and will be able to supply you with the same quality beef we have tried to provide for you over the last 9 years. He is ready to serve your needs and he has been able to expand his product line and areas of distribution...even coming soon to the Nashville Farmer's Market. Please consider tryingwww.TennesseeGrassfed.com; they are just up the road! 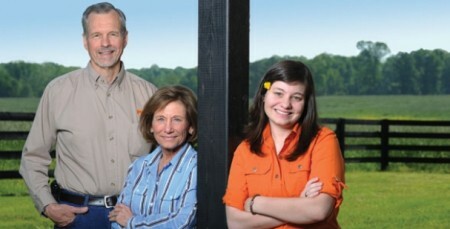 Josh, Kathy and the girls...and our wonderful VP of Beef Operations...Michelle! 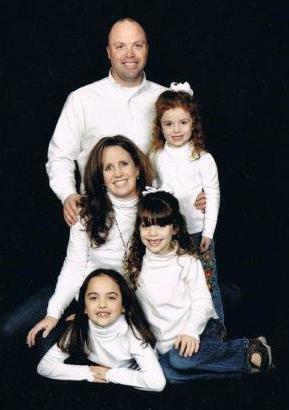 Phil and Kathy Baggett's goal is for the farm to support a healthful and enjoyable lifestyle while producing foods that are naturally delicious and nutritionally superior products for themselves, their children, and others . We will not sell your contact information to anyone-because we would not want you to do that to us. We do want you to have an initial connection to Tennessee Grassfed so they can send you information regarding what they have available for you. You may receive an email from them and if you choose to opt out, you can easily do that!